Triumph Media Press, 9780996430548, 264pp. Reclaim Your Life. Release the Fear and Embarrassment. For Women Who Suffer and Those Who Share Their Journey. JoAnne's story is engaging. It inspires, while offering suggestions for managing life's hurdles. 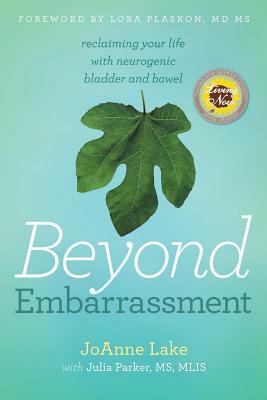 In an honest, will-to-succeed style, this journey focuses on a neurogenic bladder and bowel condition in which a person lacks control due to a brain, spinal cord, or nerve condition. The source can be aging, a chronic health condition, trauma, or many other causes. Whether diagnosis is an underactive or overactive bladder, with varying symptoms, the difficult daily reality is shared. With input from expert medical research librarian and Biosleuth, Julia Parker, readers will discover current research and facts, equipping them to meet their challenges and work with medical teams. Valuable for healthcare professionals to share with patients.